In Smith’s chamber piece, three Chicago couples retreat to a Michigan cabin for a weekend of disc golf, book discussion and pubbing. 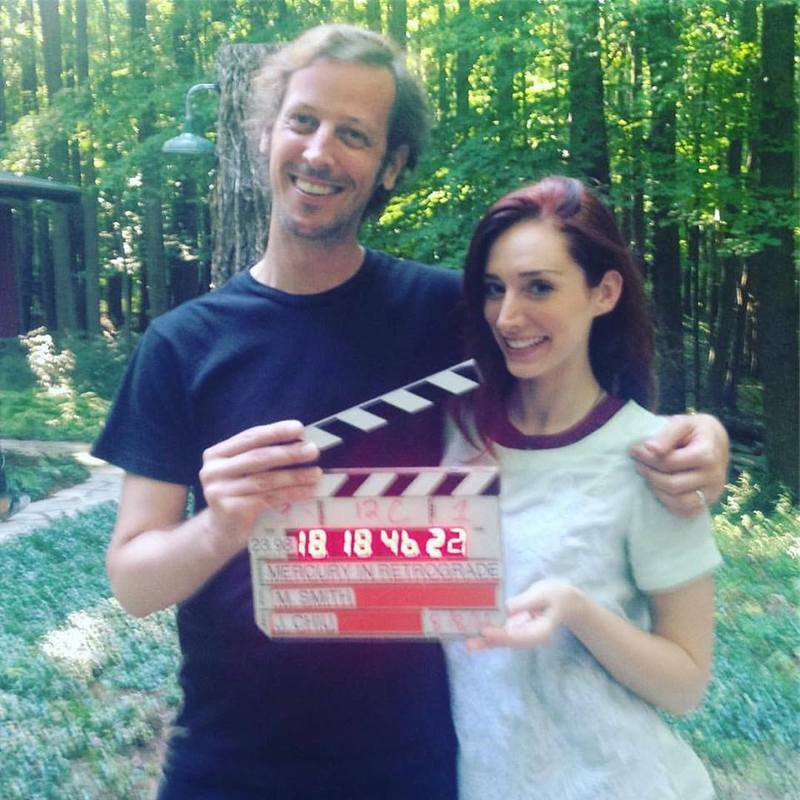 Childless married couple Jack and Golda (Jack C. Newell and Alana Arenas) are hosts to Richard and Isabelle (Kevin Wehby and Roxanne Mesquida) and Wyatt and Peggy (Shane Simmons and Najarra Townsend). The former may be reaching the shelf date on their relationship, while the latter are in the first blush of theirs. One couple knows at once too much and not enough about each other, while the other still has much to learn. “The Big Picture” did not come up in feedback from Smith’s test screenings nor film festival audience Q&As (the film won Best Narrative Feature at the Full Bloom Film Festival in North Carolina). But Smith has heard comparisons to “Return of the Secaucus Seven” (and, by extension, “The Big Chill”). He revealed a more surprising inspiration in an interview in advance of three upcoming screenings at the Gene Siskel Film Center. RogerEbert.com’s Matt Fagerholm will moderate the Feb. 19 screening. You are a film critic (for Time Out), a blogger (White City Cinema), and a film instructor (at Oakton Community College and Harold Washington College). But what you really wanted to do was direct? I went to film school at Columbia in the 1990s when everything was shot on film. I drifted away from film production because it was so resource-heavy and expensive. I couldn’t raise the money to make the films I wanted to make. With digital technology, I saw a way to get back to my first love. I’m 42, a late bloomer. Has writing about film (he is the co-author of The Flickering Empire: How Chicago Invented the U.S. Film Industry) and teaching made you a better director? Absolutely. When I teach film history, I teach from the standpoint of a director, whether it’s Buster Keaton or the directors of the French New Wave, I’m talking about what they’re doing with film form, cinematography, sound, mise en scene. 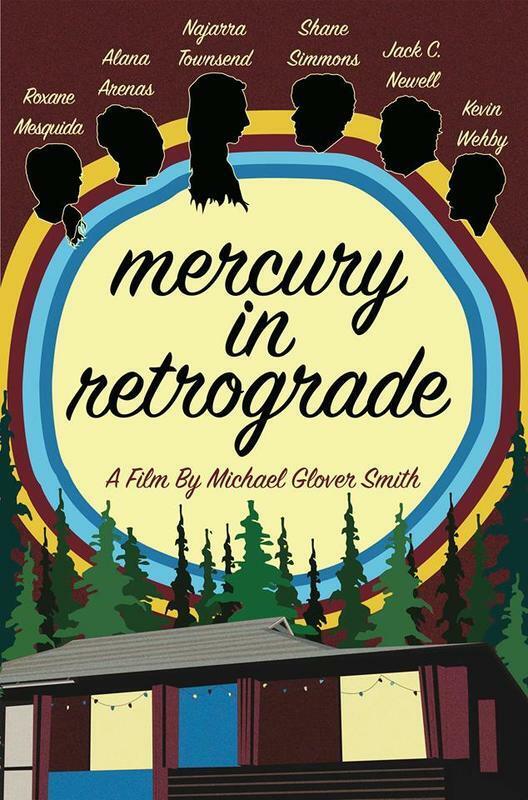 “Mercury in Retrograde” ups the ante from your (film festival award-winning) first film, “Cool Apocalypse.” It is in color, it was shot outside Chicago, and it deals with three couples in flux instead of two. I’m fascinated by the dynamics of relationships, how couples communicate and don’t communicate with each other. “Cool Apocalypse” dealt with that, but sometimes you realize a subject matter is not done with you. There was more territory to mine in examining how couples relate to each other, especially in terms of gender roles, which I think this film does in a more explicit way. What was the inspiration for “Mercury in Retrograde”? One of the members of my camera crew read the script and said it is like a 1980s Dan Aykroyd vacation comedy. I thought he was crazy, but when I started editing the film, I realized he was [onto something]. I grew up in the ‘80s with those films about families going on vacation. The best was “National Lampoon’s Vacation” by the great Harold Ramis, but you also had “Summer Rental” with John Candy and “The Great Outdoors” with Candy and Aykroyd. These films are always about the father trying to show the family a good time, and it never works out, but in the end, they all love him anyway. I also realized during editing that the fathers in those movies were younger than I am now. A lot of people my age are either not married or we are married but don’t have kids. The culture has really changed in the past 30 years. I don’t see the connection; this is far from a broad comedy. But it shares with those films the theme of how vacations are anything but an escape. The fact that the characters are away from their daily routine serves as a catalyst to examine their lives and relationships. These couples are interacting with each other [in this new setting] and it forces them to see their own relationships in a new light. One of the film’s set pieces is the men’s book club discussion while the women go out to a bar. They talk about Dashiell Hammett’s The Glass Key. Does that book have a special resonance for you? Casting the book was almost like casting an actor [laughs]. I needed a book that would allow the characters to talk about masculinity, so I wanted a book written in a masculine style. I wanted an older book that would compel the characters to grapple with this era from before they were born. I didn’t want to go with someone more familiar like Hemingway. The Glass Key is just obscure enough, and Hammett’s name has a connotation of masculinity. In talking about the book, these men are having an intimate conversation about their lives and feelings. You see their masks are starting to slip. Was the film fully scripted, or did you allow room for improvisation? I don’t imagine you had the luxury director Mike Leigh has with extensive rehearsal time for his actors to flesh out their characters before the script is written. I’m very happy you mentioned Mike Leigh. I showed different movies to different actors and crew members to illustrate what I was looking for and I had Jack and Alana watch [Leigh’s] “Another Year” for the performances of Jim Broadbent and Ruth Sheen. In that film, they are a stable, happily married couple. All of the drama comes from the people around them. But no; we shot this movie in 12 days. It was a grueling experience. The script was 190 pages and very detailed, but once we got on location, we rehearsed before we shot each scene, and the actors did make suggestions. What directors are in your pantheon? F.W. Murnau is my master. “Sunrise” and “City Girl” are movies about couples moving from either the city to the country or vice versa, and about the kind of psychological shift that occurs to accompany the geographical shift. I asked Roxanne to watch “City Girl.” She’s a cinephile and said she thought it was a masterpiece. I did think of “The Big Picture” when watching your film. I’m aware of it, but I haven’t seen it. “Mercury in Retrograde” is very similar to the film Kevin Bacon’s character originally pitches to the studio. But he betrays his vision and sells his soul to get his pet project made. As an artist, you have to plough your own furrow and pursue the things that interest you. There are a lot of independent films that are incredibly formulaic made by people who view their films as calling cards to work in Hollywood. They are making films as if someone is telling them what to do. I have a responsibility to be true to my vision, and that’s what people will ultimately respond to. There have been a couple of walk-outs [at screenings], but on the other hand, people have told me the film was a powerful and cathartic experience. “Mercury in Retrograde” will screen at the Gene Siskel Film Center Fri. Feb.16 at 8:15 p.m., Mon. Feb. 19 at 7:45 p.m., and Wed. Feb. 21 at 7:45 p.m.